as the combined forces of Syrian Army, dreaded Hezbollah fighters, Iranian Revolutionary Guards, and some embedded Russian advisers complementing Russian Aerospace firepower, are all making the Islamic State controlled areas a scorching hell for the last 4 months. The desperation is forcing the terrorists to plan and attempt terror attacks inside Russia and other countries supporting the Russian effort in Syria. “TEHRAN (FNA)- Two main terrorist groups operating in the Northwestern province of Dara’a engaged in fierce clashes with each other, leaving several terrorists dead and wounded, provincial sources said. “Several terrorists have been killed or wounded in exchange of fire between the al-Qaeda-affiliated al-Nusra Front and the militants linked to Jund al-Aqsa in the village of Ebdita in Jabal al-Zawiyeh,” the sources said. “The clashes erupted between the two terrorist groups after al-Nusra members tried to arrest one of the ex-commanders of Jund al-Aqsa named Yusouf al-As’ad,” the sources said. On Tuesday, the Lebanese Hezbollah fighters in a successful operation in Idlib province opened their way into the areas controlled by the terrorists of Jeish al-Fatah (the Army of Conquest) and inflicted heavy losses on them. After receiving intelligence about the exact location of Jeish al-Fatah terrorists and monitoring their movements, the Hezbollah fighters laid mines near Al-Mohadatha school where the militants were stationed. Two terrorist commanders named Al-Rezvan Wahib and Abdel Razzaq were killed after they hit the landmines. Scores of terrorists were killed and many more were injured during the Syrian army’s operations in Idlib province. Here’s a good summary in the battle to get rid of CIA trained armed renegades in Syria for the last four months. Moscow launched its much lauded aerial campaign on September 30 following a formal request from Damascus. Russian warplanes have been tasked with assisting the Syrian Arab Army (SAA) in its fight against extremists groups, who are trying to overthrow Bashar al-Assad and establish an Islamic state in a once peaceful and prosperous land that was largely oblivious to sectarian violence. This mission has been accomplished. 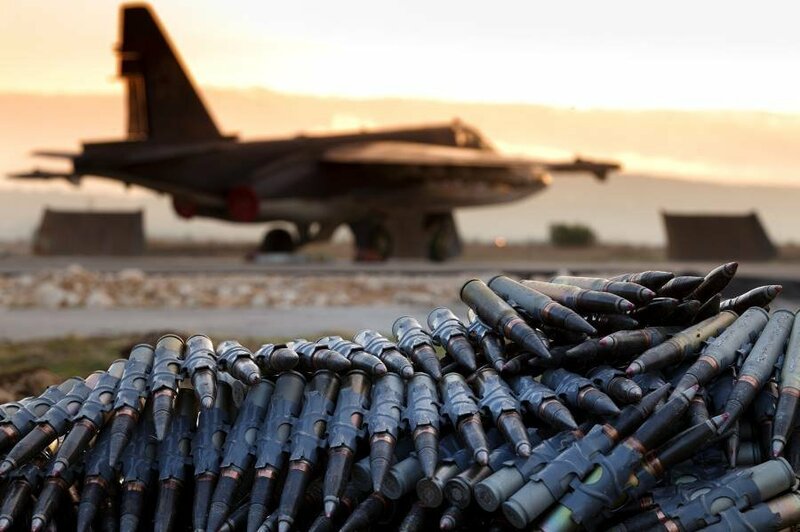 Four months and more than 6,000 sorties later, due to Russia’s counterterrorism efforts, Daesh is losing fighters, weapons and territories, while the SAA is on a roll. Damascus-led forces are on the offensive on ten fronts out of 15, Chief of Russia’s General Staff Gen. Valery Gerasimov said earlier this month. What could be even more important, SAA soldiers are now willing to fight and feel confident in their abilities. Russian warplanes carry out scores of sorties daily. For instance, in the 72 hours since January 22 Russian aircraft flew 169 missions hitting 484 militant infrastructure targets. In addition, the Russian Airspace Forces have carried out up to 100 massive airstrikes daily in support of the SAA offensive in the last ten days. It did not take long to see the results. This week, Damascus-led forces freed 28 localities in Latakia alone. The strategically important town of Rabia, the last militant stronghold in the province, was among those areas. In total, by January 15, militants were pushed out of as many as 217 localities. Russian military officials have repeatedly said that the information regarding militant targets is always checked and double-checked before pilots are sent on a mission. “Our aviation does not even plan airstrikes if there is a possibility of civilian casualties,” Maj. Gen. Igor Konashenkov emphasized earlier this month. An analysis recently released by IHS Jane’s has shown that Russia’s military engagement has been instrumental in Damascus’ achievements. The SAA managed to expand the territory under its control by 1.3 percent between September 29, 2015 and January 11, 2016. 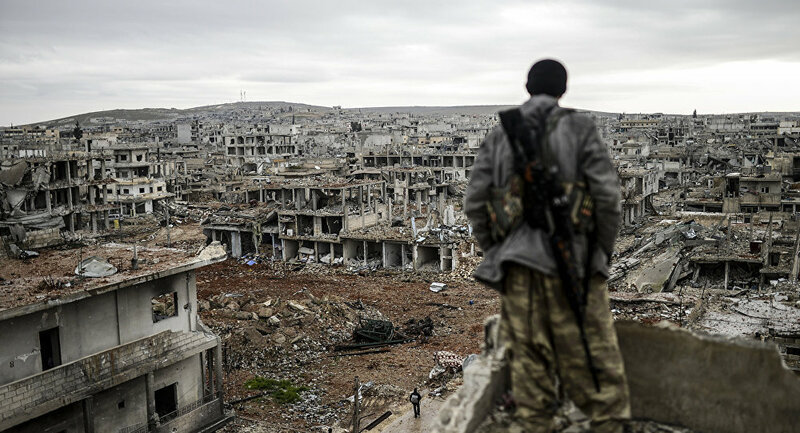 Prior to that Damascus was losing and its prospects looked bleak. Since then, “momentum has shifted back in favor of government forces, which are stabilizing front lines in areas that are core to the government’s survival, and making slow but steady progress,” the analysts noted. True, Daesh still has access to recruits, weapons and supplies, which are mostly smuggled through the porous border with Turkey (Ankara has yet to deliver on the promise to deal with the issue). But this is no longer a strategic advantage. After all, Russia has employed an impressive arsenal of cutting-edge weapons, including cruise missiles, state-of-the-art fighter jets and long-range bombers, in its limited, but extremely efficient campaign. Russia’s achievements are not limited to victories on the battlefield. Moscow has made every effort to kick start the peace process in the war-torn country in line with UN Security Council resolution 2254, which paves the way for a lasting peace through multilateral and inclusive talks, a nation-wide ceasefire, as well as presidential and parliamentary elections. Meanwhile, the Russia military has launched a humanitarian operation to help civilians, who have been trapped in towns besieged by the extremists. According to Russian General Staff head Sergei Rudskoi, who made the announcement on January 15, the humanitarian aid would be largely distributed in the city of Deir Ez-Zor. However, the fight against Islamic State will never be a walk in the park as its benefactors are likely not abandoning them yet. In fact, they have been using the terror brand in Indonesia as of late and is in the process of advertising terror also in the Philippines, in Europe and elsewhere. The failure of the Turkish government to seal off its border with Syria where arms and ammunitions in exchange for oil flow freely, Russia and other coalition members are now attempting to choke the Islamic State’s supply line along Turkey border. Russian Forces To Set Up Base Near U.S. Troops And Turkish Border, Things Are Getting Hot! So, as we can see, U.S. troops setting up a military base, the same base and area the Russian’s were supposed to take. For the Russians, it was to establish a strategic point, to destroy the ISIS / Turkey monopoly , wipe out the Islamic State Terrorist and to end Turkeys support for ISIS. With US Troops now setting up shop in this area, it tells you once again, that the Obama and US government, along with warmongers McCaine and Biden, are protecting their assets and guarding their agents , assassins which is ISIS, the Islamic State terrorists~ While Russia already has military facilities in northwestern Syria, in the Latakia Province, the Russian military is believed to be doing some preliminary scouting in northeastern Syria’s Hasakeh Province, with an eye toward setting up a separate airfield in that area. US officials are saying Russia has dispatched personnel to an airfield in Qamishli and are believed to be trying to figure out if they want that site. Qamishli is extremely close to Turkey, and US officials seem to believe the Turks will object to Russia taking the base. The reports of Russian interest in having an airfield in Hasakeh comes amid reports that the US has already taken over such a base in nearby Rmeilan, and is busily widening the runway for US military aircraft. The US speculation, then, is likely focused on the prospect of the Russians turning up awfully close to their new base. It’s not surprising, however, as Russia has been backing the same Kurdish faction in the area that the US has, and has arguably a lot more use for a base in that part of Syria, since unlike the US they don’t have the option of using a base inside Turkey itself for flights into eastern Syria. On January 24 US Vice President Joseph Biden held intensive meetings with Turkish President Recep Tayyip Erdogan and Prime Minister Ahmet Davutoglu. F. William Engdahl, American-German researcher, historian and strategic risk consultant, believes that the Obama administration manipulates both the ambitious Turkish President Erdogan and the impulsive Saudi Deputy Crown Prince Mohammed bin Salman, indulging their militarism and greed. “The Washington game seems to be to give the Saudi-Turkish duo enough rope to hang themselves in a mad power grab of Syrian and Iraqi oil riches and perhaps, if they are really mad enough, of Iran’s oilfields too,” the researcher remarks in his article for New Eastern Outlook. Anyway, Biden’s visit has indicated clearly that Washington still supports the Erdogan regime and is turning a blind eye to the ongoing ethnic cleansing of Turkish and Syrian Kurds by Ankara “thinly veiled” as a war against PKK (the Kurdistan Worker’s Party) and de facto occupation of Iraqi territories near Mosul by Turkey’s military. Remarkably, Ankara has no scruples about equating the Syrian leadership, Kurdish PKK and YPG (People’s Defense Units), fighting terrorists in Syria, to Daesh (Islamic State/ISIL) and al-Qaeda’s affiliate al-Nusra Front. According to Turkish PM Davutoglu, there are three threats in Syria: “One is the regime [of Bashar al-Assad], another is Daesh, and the third is the YPG,” he said as cited by Hurriyet, Turkey’s mainstream liberal media outlet. “Turkey sees no difference between terrorists groups such as Daesh, PKK, DHKP-C [the Revolutionary People’s Liberation Party-Front] or al-Nusra,” Davutoglu added. “According to the project, which found support from the US, NATO and the US anti-ISIL coalition will jointly operate at the training base in Bashiqa [a town in the Mosul District]. Nonetheless, no logistical change will be made at the base other than a sign showing that an international force is deployed there. The Iraqi army will be allowed to have a representative as part of the international coalition,” Zeyrek wrote, citing sources with the knowledge of the matter. It seems that there are little if any contradictions between Ankara’s foreign policy in the region and Washington’s Middle Eastern agenda. “In fact, Biden discussed US military support, unspecified, for a Turkish military move to take the oilfields of Mosul,” Engdahl notes. “Further, the US Vice President apparently said not a word about the continuing illegal smuggling of Iraqi and Syrian oil by ISIS [Daesh] into Turkey where Erdogan’s son ships it to world markets, financing the ISIS terror inside Syria Biden claims to oppose,” he adds. The researcher calls attention to the fact that Biden signaled that the United States and Turkey are ready to seek a military solution in Syria if the diplomatic Geneva talks fail. “We do know that it would be better if we can reach a political solution but we are prepared — we are prepared if that’s not possible — to have a military solution to this operation in taking out Daesh,” Biden stated. Interestingly enough, the statement came after US Defense Secretary Ashton’s announcement of the Pentagon’s new strategy in Syria that envisages more boots on the ground in the region. Furthermore, rumors are still simmering regarding the US increasing military deployments at the Syrian Rmeilan airfield. Engdahl stresses that at the same time Turkey has gained more influence in the region. I would like to draw a WORLDWIDE (GLOBAL) attention to an aberration in Law, specifically Australian Law. Whilst Australia is a signatory to many a UNITED NATIONS human rights charter. It does not have a Bill of Rights. It has a Commercial Law, which is derived of the law of the sea (Admiralty Law). It also has Common Law. Australia’s form of Common Law historically harkens back to the Magna Carta, alas, it is not as solid as the England Common Law, in that the common law rights of the people living on the land (meaning living within the land of Australia), may be overthrown, rescinded (even retrospectively) by legislation. Case in point, the retrospective legislation passed to disallow, deny babies born within Australia, on land within Australia, a visa. Q. #1. I ask this question, do these children have Birth Certificates from the registration of Births, Deaths and Marriages. If the answer is yes, then they are Australian. If they do not have a registered Australian Birth- Certificate, and they were born in an Australian Hospital, such as the Royal Women’s, why do they not have a Birth Certificate that automatically legitimises them as Australians. Q. #2. Are Australian Hospitals complicit with Government, in withholding, denying the legitimating processes of an Australian Birth Certificate from babies whose parents are refugees and or camp detainees.